Knowing that Alex is on the other side of the country helps her to relax and be more completely herself than she could in real life. After all, she's never going to meet him in the flesh, right? 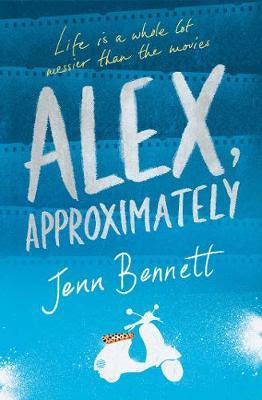 When Bailey moves to Alex's Surfside town in California to live with her Dad, she decides not to tell Alex straight away. What harm can there be in checking him out first? Then there's Porter with his sculpted surfer torso and shoulder length ringlets. It's almost hate at first sight. Then something odd happens. The high energy that fuels the fiery arguments between Bailey and Porter fuses into passion. But serious trauma in both of their pasts, a friend who is a walking time bomb and Porter's explosive reactions conspire to push them apart. Amidst all this, Bailey is stricken by guilt that she's neglecting good friends and deeply hurt that her mother hasn't bothered to contact her since she moved. Buckle up for a high-octane ride that pushes the boundaries of friendship, family and sexual attraction then interweaves additional drama through it all. Is it possible to make peace with yourself and your overwhelming fears? You'll have to read Alex, Approximately to find out.